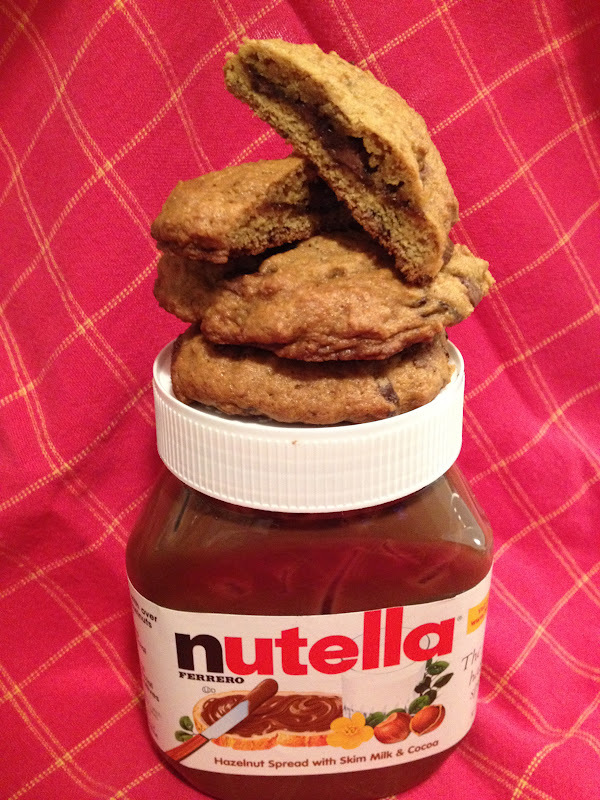 Banana Chocolate Chunk Nutella Filled Cookies! My friend Lisa recently gifted me a giant jar of Nutella, which I always associated with Europe and my semester abroad, so I don't know a lot of uses for it. I'm not one to take a spoon to the jar and eat it by the spoonful - but I have liked it melted over ice cream. I've been meaning to try out making nutella cookies, which sounded like they would be good - I set to looking for what seemed like a good recipe and everything that was popping up seemed a little boring. Combine that with a way over ripened banana I threw in the freezer earlier that week and some pumpkin pie puree I had leftover from my Baked Pumpkin Oatmeal - and this was the result! After buying an excessive amount of leeks for a latke recipe, I had to find something to do with all of the leftovers. I've been meaning to try out a recipe for potato leek soup, so now seemed as good a time as ever. It's a pretty hearty soup because so much of it is made out of potatoes, but in small amounts it's good. A very wintery dish. I love steel cut oatmeal but it always seems to take forever to make - much more than I'm willing to put into a work morning breakfast. I came across this blog - Delicious Dishings and I really found a lot of recipes! 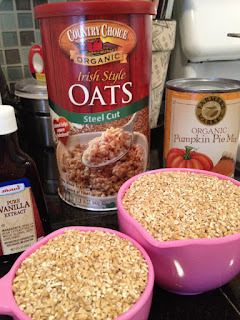 One of them was for Baked Pumpkin Oatmeal and it's been on my list to try out. I finally found myself with the time this past Sunday morning - but realized at the same time that I didn't have plain old pumpkin puree. I had a can of organic pumpkin pie filling which already has the spices and sugar added to it, so I had to alter the recipe a bit. I liked how it came out, but I also would rather try making the regular version and adding my own spices and sugars. I also liked the additional toppings of a drizzle of maple syrup and some plain nonfat greek yogurt. So this dish was originally supposed to be pad thai, but any time I make it it never quite comes out the same as what you order at a Thai restaurant. On top of that, when I started cooking I realized I didn't have the right kind of noodles, but that's okay - you make the best with what you have! I'd say even though it wasn't pad thai, it still came out good and while it looks like a lot of ingredients - if you do any sort of asian cooking in your home you probably have a lot of these on hand already anyway!